Here is one more Odd One Out Puzzle. In this challenging brain teaser, some numbers are given in heart shape. All the number except one number are related to each other. However there is one number which does not relates to other numbers inside the heart. Can you find this Odd Number Out? 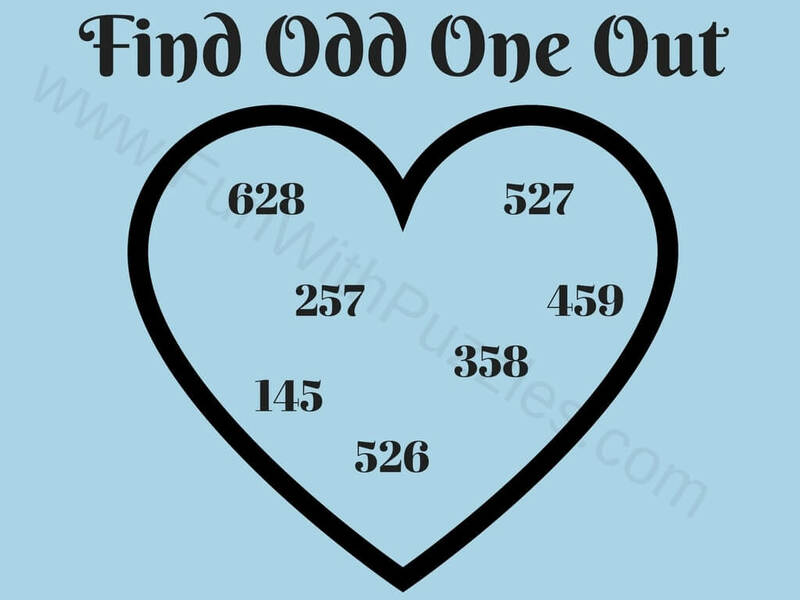 Can you find Odd Number Out? Answer to this "Challenging Brain Teaser for adults", can be viewed by clicking on button. Please do give your best try before looking at the answer. The Answer is 526. For all other numbers sum of first two number is equal to the third number. In case your answer is different from this solution. Please do write your Odd Number Out in the comments along with your explanation.